Completed market research and 1st draft requirement draft. 2nd draft and Web UI/UX finalization and implementation. Business pitches to International Goverments. Mobile UI/UX finalization and implementation. 50k registered user milestone achieved successufully; Android and iOS mobile application launch; Started analysis on implementing Blockchain for TrustLogic. 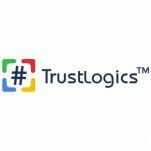 Whitepaper finalization and TrustLogic.io website launch. Token Salw proceeding and building partnerships. Pre-Sale & Earn coins feature integration to existing platform. Token distribution and Blockchain POC. Peer to Peer hiring model implementation. Digital Portfolio for independent service providers.